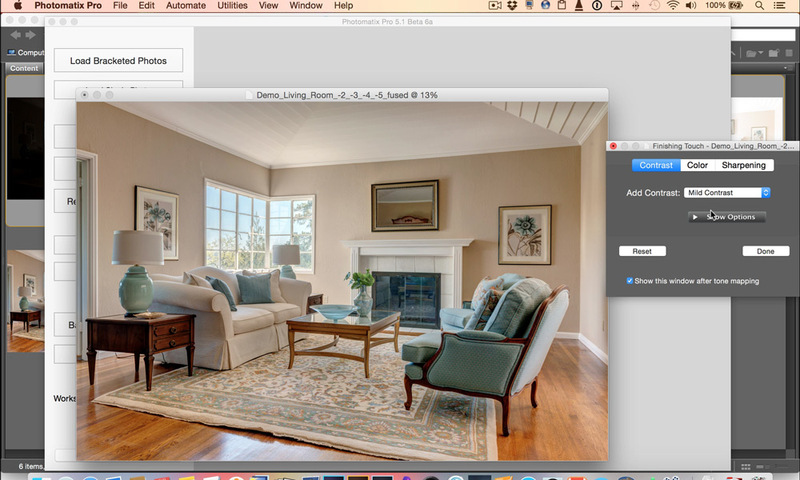 Ron Pepper walks us through HDR Exposure Fusion with Photomatix Pro for interior real estate photography and how to fix overexposed exterior windows. Download a trial of Photomatix Pro at www.hdrsoft.com. View more HDR tutorials in the HDR Learning Center here on Photofocus. Ron… what do you find is the best way to process photos with Photomatix… I know some who bring JPG photos directly into Photomatix first, then into Lightroom to tweak…. others bring photos into lightroom.. then Photomatix… then back into lightroom to tweak… do you shoot Raw… if so, how do you work on all the braketed photos in Lightroom before merging them in Photomatix?… let us know your workflow… thanks!